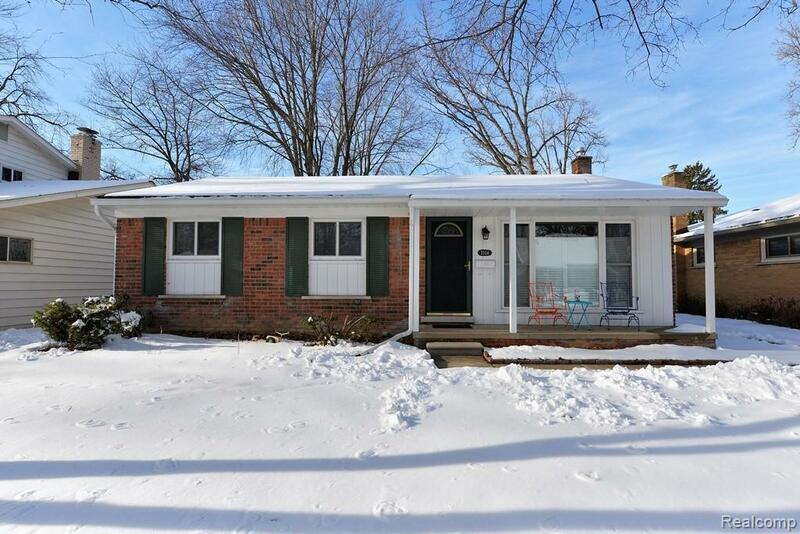 This wonderful three bedroom 1.1 bath brick ranch is bright, open, and move in ready! Gorgeous refinished hardwood flooring in living room and bedrooms. Living area is expansive - and streams in tons of natural light from large picture window. Kitchen is super retro cool - plus spacious dining area. Brand new kitchen floors. Bedrooms are all nice sizes. Both a full bathroom plus half-bath on entry level. Florida room overlooks large deep backyard and large paver patio area. Backyard is fully fenced. Basement is partially finished and water proofed. Newer gutters. This nice larger than average 53' x 177' lot sits on beautiful tree-lined street. Walk-to Beaumont Hospital, plus shops, restaurants, and more! Welcome home! IDX provided courtesy of Realcomp II Ltd., via Century 21 Town & Country-Royal Oak and Realcomp, ©2019 Realcomp II Ltd. Shareholders.